Thousands of Trendnet security camera owners have found themselves the unwitting stars of a Big Brother style life-streaming nightmare as it emerges that anyone could access live footage from inside their homes without so much as a password. After the vulnerability was highlighted by a blog called Console Cowboys, various forum users began sharing links to live cameras as well as screen grabs and, in some cases, Google Map locations. Trendnet, which uses the tagline "networks people trust", says it has been aware of the problem since 12 January but has been pushing security updates to close the loop. 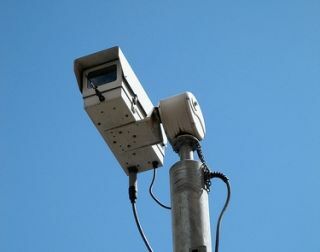 Trendnet's director of global marketing, Zak Wood, told the BBC that he thinks fewer than 50,000 people's SecurView cameras are affected worldwide, with 26 models of internet security cameras identified as vulnerable. "The firmware has been tested and released [on] seven of the models," Wood explained. "We anticipate to have all of the revised firmware available this week. We are scrambling to discover how the code was introduced and at this point it seems like a coding oversight." When it discovered the "coding oversight", Console Cowboys was surprised to see that after just a little bit of tinkering with the firmware code "the camera is more than happy to let me view its video stream. "There does not appear to be a way to disable access to the video stream, I can't really believe this is something that is intended by the manufacturer." Firmware updates are incoming and, in some cases, already available – check out Trendnet's information page here for more details.